Opening splash page / logo. Coins the app should count. We believe that equality and empowerment can arise from something seemingly as simple as coins. 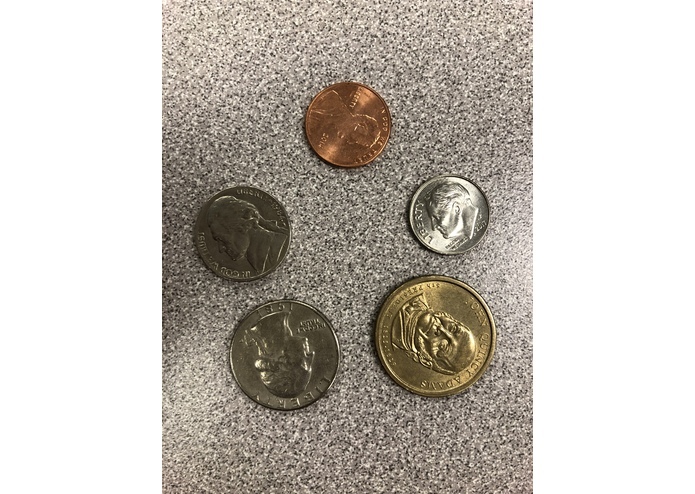 Sometimes, counting a large amount of coins can be tedious and difficult for those who have vision impairments or access to a coin counting machine in stores. We wanted to create accessibility in the financial realm by providing users with the ability to calculate a large amount of coins- which is not a easy task for some- with just a click so that they don't have to turn to coin counting machines that often take a monetary portion. With this app, we wanted to meet the intersectionality of diversity by encompassing a variety of groups from the elderly to those with disabilities. 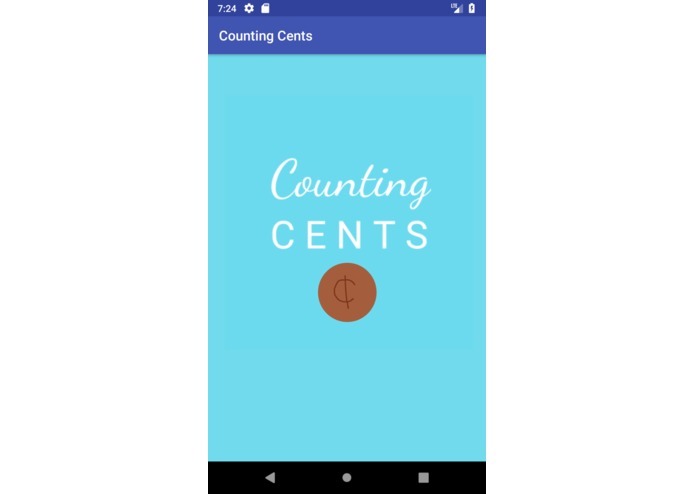 Our app calculates the total value of the coins that it takes a picture of and will relay the total back to you out loud. We utilized TensorFlow, an open-source machine learning framework, and Python. In addition, Android Studio was utilized in order to create the app in which we implemented the algorithm. Figuring out how to implement TensorFlow and the machine learning was the most difficult part. We had to study the API meticulously in order to understand how it works and how we can work around the API to benefit our application. And we ran into some difficulty with Android Studio because none of us had worked with it before. We are proud to have dipped our toes into the unknown and to have adapted to these experiences in order to create an app. Although it was a struggle, we are most proud of the things we've learned to implement and design. For example, using the TensorFlow API to use machine learning to count coins and designing a functional app in Android Studio. We are all beginners of the Android Studio platforms. None of us had experience with Android studios, so this was the biggest challenge. Trying to create an app from scratch was truly a unique experience in this short 24 hour period. On top of that, we had to learn how to work around the TensorFlow and a bit of machine learning while making the app through teamwork. This was an arduous, yet enlightening experience as we came to understand the development process of creating apps. We are hoping to make this a fully functional app for iPhone users as well. Came up with the project idea and name. 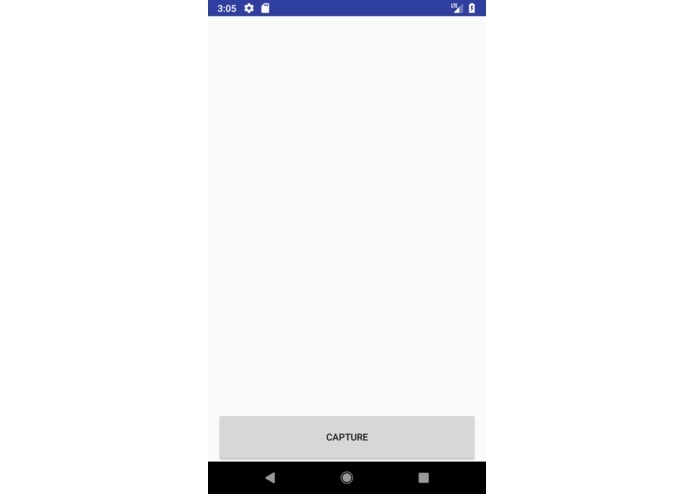 Worked with Android Studio for the first time to design the opening splash page and compiled the code for the camera page another team member made. Third year Computer Science and Spanish student at the University of Virginia. I worked on the backend machine learning for recognizing the coins and counting them, and ultimately totaling them to give the value to the user. I worked on creating the camera for the app. I tried focusing on creating a simple UI for the front end of the camera and the workings of the backend on the camera portion of the app.